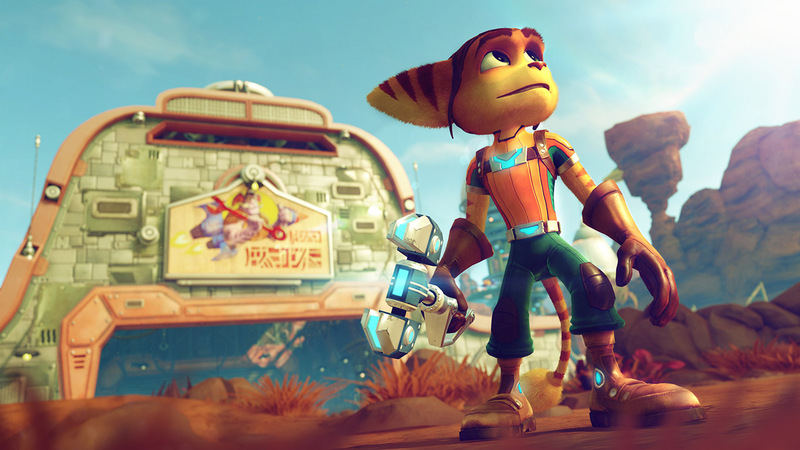 This entire article is pretty much thanks to Ratchet and Clank. I played it from start to finish last weekend, my face the picture of childish glee from beginning to end. 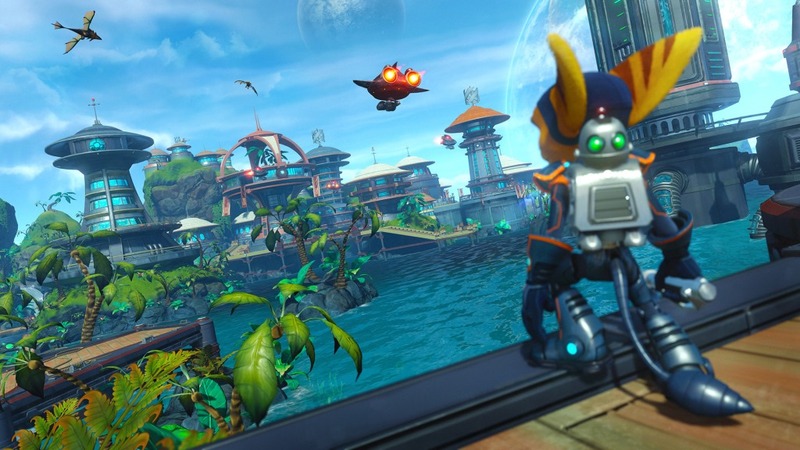 Before then, I'd only ever tried out Ratchet and Clank 3, and felt a bit lost, since the game (quite understandably) presumes that you know what's going on and you know what you're doing by the third entry to the series. The Ratchet and Clank re-imagining gave me reason to care for the characters, to squeal in delight whenever Clank did anything remotely cute and to giggle at Captain Qwark's buffoonery. It's about as close as you'll get to a full Pixar experience in a game, and while some of the levels too feel a little off-kilter and the signposting wasn't great in some areas, kids would absolutely love this if they had an adult to guide them through the trickier parts. I can't wait to introduce my cousin to games, and I think I might start off with this. If I were to pick just one MediaMolecule game that would be a blast for kids, it's Tearaway (Unfolded just for the ease of playing it on a bigger screen via the PS4; the original Tearaway is not PSTV compatible in Europe). The LittleBigPlanet series is one of my favourites, and it has plenty of potential to encourage kids to be creative and already start thinking about level design. However, Tearaway impressed me with how educational it is regarding actions and reactions from manipulating the wind; it also has some intricate puzzle-solving elements that both the kids and the adults will need to collaborate on to get just right. 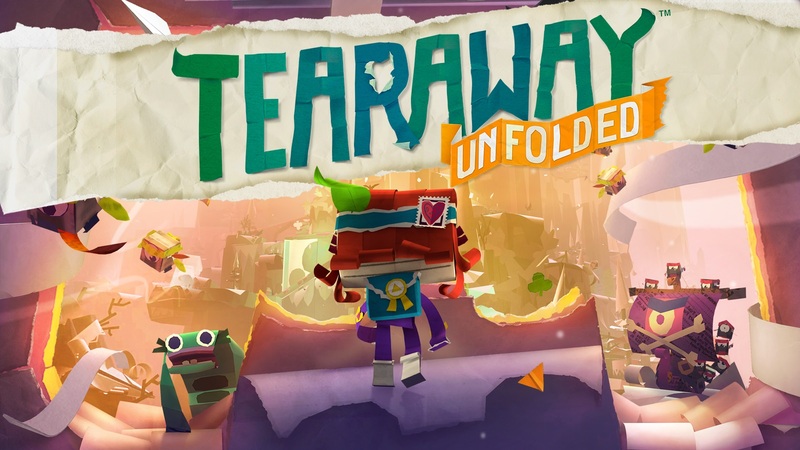 I felt a real sense of wonder as I played through Tearaway Unfolded, and I feel like it's a unique experience young children shouldn't miss out on. If you want to follow this up with an entry from the LittleBigPlanet series, my favourite is probably 2.2 is also particularly good for smaller children, since it doesn't have some of the more complicated bells and whistles that 3 has, e.g. other Sack characters. If you're in the market for something to calm down your tiny terrors after they've scoffed down too many Jaffa Cakes, then Flower could be your saviour. Using the rotation sensors in the DualShock controller, the player controls a flower petal, swaying through the wind and collecting other petals, while sitting back and enjoying picturesque scenes of nature. 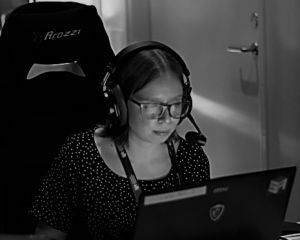 Some kids might find its muted atmosphere extremely boring, but others will be mesmerised by the interactivity, and soothed by how sedate the game is. If you're looking for something relaxing and walking sim-like that's a bit more involved, alternatives would be Journey (by the same developers) or The Unfinished Swan for older kids. While more hyperactive, the original De Blob involves methodically decorating buildings in an environment by splodging paint everywhere, which might also distract some children who enjoy more repetitive actions. Don't know your arse from your elbow when it comes to Team Skull and Nebby? You're in good company, my friend. The 2nd generation of Pokémon has always been my favourite: there were just enough creatures out there to catch that proceedings stayed interesting, but the designs were still imaginative. Plus, I felt way more immersed in Johto than I ever did in Kanto; being able to convert Apricorns into special Pokéballs is still one of my favourite little quirks in the series. 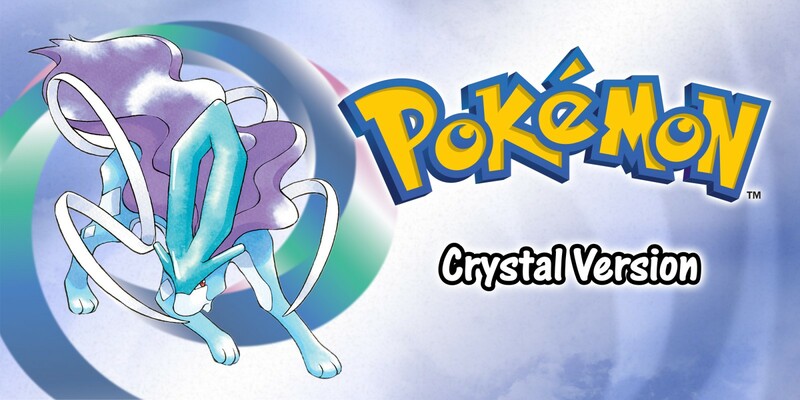 Luckily, the presence of Pokémon Crystal on the Virtual Console for the 3DS means there's really no reason not to introduce younger siblings, young cousins or young footsoldiers to older varients of Pokémon – back when times were simpler and your worries were confined to Team Rocket. Hey, if you preferred the 1st generation of Pokémon, then this is a judgment-free zone; and Pokémon Yellow is also available for the 3DS. It's the perfect opportunity to show children that games that look a bit "old" aren't necessarily lame, and can more than stand up to newer, shinier versions. 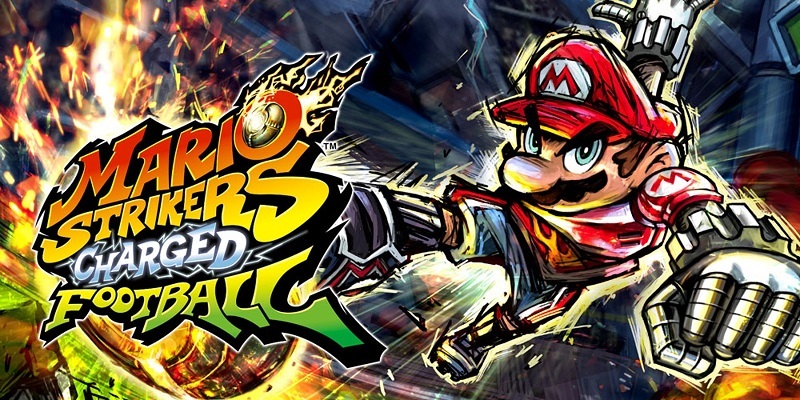 Me and my sister absolutely loved Mario Strikers Charged Football when we got our Wiis, way back in 2007. Yes, I said Wiis, because asking me and my sister to share anything was about as feasible as attempting to go for a casual stroll on the moon. But the one game we had a lot of fun playing together was this heavily simplified football/soccer game. The goal celebrations are cute and funny, the mechanics are dumbed down enough for anyone to join in on the fun, and there are plenty of ways to get a cheap goal or two in the back of the net. Don't torment the little ones by trying to explain the offside rule – instead get into an astro turf tussle with Bowser and a handful of Shy Guys. This list would absolutely not be complete without Rayman Legends (which is scheduled to be a PS Plus game next month – nice timing!). I remember playing the first Rayman on PS1 back as a wee lass, and I have to admit that I didn't think that was a very child-friendly game. It was needlessly frustrating in parts, with a bunch of cheap deaths and powers that felt neither intuitive nor particularly helpful. Rayman Legends and its predecessor, Origins, wiped the slate clean and came up with a Rayman game that harks back to old days, while offering something much more accessible than in the mid-90s. 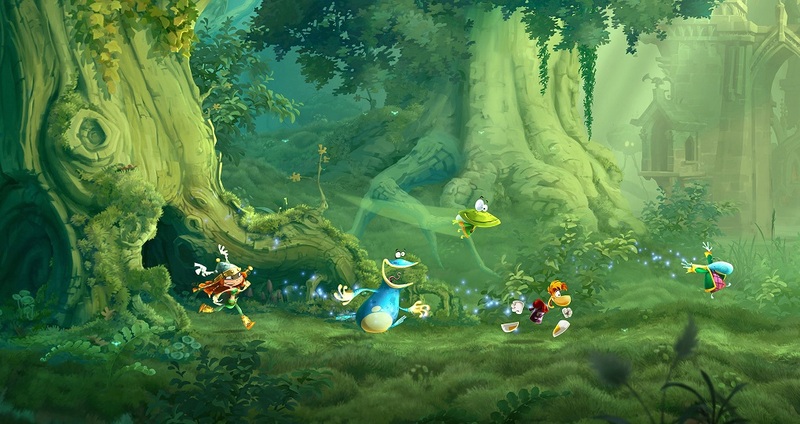 While what I have played of Revolution and Hoodlum Havoc did a great job of transporting Rayman to the 3D platforming world, if you want to keep your Rayman 2D and simple, Origins and Legends are your best bet. Theme Park World (PS1) – probably the best management sim for kids, it strips back a few layers from the original Theme Park while adding an entertaining mascot. Get a PAL copy if you can, since the voice acting is much better (read: superbly Scottish). New Super Mario Bros (Wii) – co-op Super Mario Bros – you can't go far wrong with the classics. Kuri Kuri Mix/The Adventures of Cookies and Cream (PS2) – play as two bunnies helping each other to traverse a map under a strict time limit. Single-player is a bit naff, but joining forces with a fellow puzzle fiend makes the game much more interesting. Mario Party 8 (Wii) – in my opinion, the best of the Mario Party games I have played. The train level is a blast, especially when the tables get unexpectedly turned on the poor sod in first place. What are your top tips for games to play when you have younger relatives visiting? If you have kids, which games do you play with them, or what do they enjoy playing among themselves? Let me know in the comments down below!